All architecture and design firms want talented and experienced employees populating their offices. There are just as many applicants vying to break into the creative industries, so why is it that some firms struggle to retain their best staff? What about work can drive an employee out of the office, or business altogether? Well, there’s a few things. If you’re seeking to find a better retaining strategy, you’ll need to be ready to take a cold and hard look at your company. Which kind of candidates is your recruitment strategy bringing in? What is your firm’s culture like, and how do your staff feel about working there? Do you speak to your employees…ever? Read on, and check out our handy infographic. It’s time to explain retaining. It’s hard enough to find skilled and talented employees, but in any business, it is also essential to recruit for character. Why you might be asking? If the applicant can technically do the job, then they’re the best fit, right? Not necessarily. Recruiting solely for skill or character at the expense of the other is a big mistake. 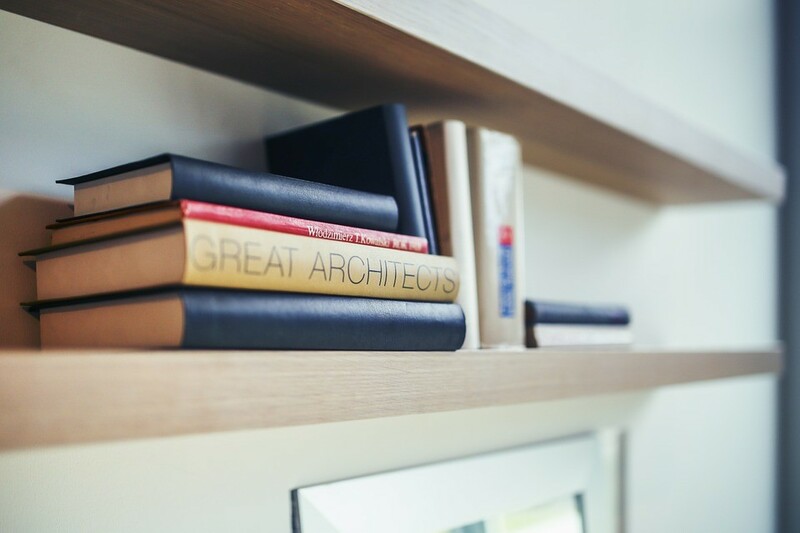 Outfitting your architecture or interior design firm with top talent begins in the interview, where you must ask the right questions for successful results. This is the only way you can find existing talent, or malleable recruits in which it can manifest. Architects and interior designers are trained specialists from juniors right through to senior positions. Therefore, it’s the practical application of that specialist training that sets strong candidates apart from the rest. Your firm can benefit from a skills focused hiring strategy, but how much weight should skills and training have when screening candidates? Does the role require a candidate to have particular skills in order to perform well? The nitty gritty will change depending on the particulars of the position. Successful CEO Robert Herjavec prefers to hire for skill, but the core of his candidate screening rests on how the applicant is able to apply them in the interview. Essentially Herjavec is testing how his prospects will work in the job, by putting them into a scenario or posing a question where they must apply what they know, on the spot. What are your technical (e.g. Revit, CAD, SketchUp) skills on a scale of 1-10? Can you show me some examples of your best work? What is your weakest competency area? Can you give me an example of a time you were thrown in the deep end? How did you handle it? What strengths do you bring to your projects? Add these questions to your interview arsenal, and you’ve got a well-rounded strategy to ascertain how much practical talent your prospect has. There’s more to talent than being able to use Revit, and a resume lined with internships. What do you and your firm care about? More importantly do any of the nerve-shot applicants at your door align with these core values? Hiring for alignment with the culture of your company can be much more effective. Yes, practical experience and technical skills are great, but these can be taught if you have the resources, and on your own terms too. Recruiting for character allows you the flexibility to hire great people you’d love to work with, and mould their skills in a way that fits your company’s priorities. You will create the talent you advertised with. What is your vision? Where do you see yourself in 12 months? What did you not like about your last position? Can you give an example of how you handled a stressful situation? What does architecture/interior design mean to you? Now let’s get real. There are boons and woes to focusing your recruitment strategy on either of these aspects. The decision should rest on the capacity of your staff to train new talent, and the specific requirements of the role. You will probably find that junior positions are best suited to character focused recruitment, whereas senior level roles require certain skills. It’s okay to use a combination of both all the time, or focus on one some of the time, just make sure that you actively weigh up the benefits of each for the relevant position. This is how you’ll get talent in the door. “Culture” in reference to an architecture or interior design firm is the essence of that entity’s soul, literally. It’s comprised of the values, work ethic and priorities shared by the team, and should be what makes the firm great to work at. In 2016, Deloitte University Press conducted a survey into the impact of culture upon business. They found that 82 percent of all respondents believed culture was a competitive advantage, and you might be surprised to learn that Australia placed the highest importance on corporate culture. Approximately 94 percent of Australian respondents want a vibrant and flexible corporate culture. This means that in Australia, culture should be one of your focal selling points for attracting fresh talent, and a factor in preventing employee attrition. Don’t see a vibrant company culture in the reflection of your Friday night drinks (although these help! ), there’s much more to creating excitement and keeping the job fresh. A vibrant culture is one that gets architects and designers moving, keeping them engaged in their work, and fostering a sense of belonging within your business. It’s also occasionally about having a little bit of fun. 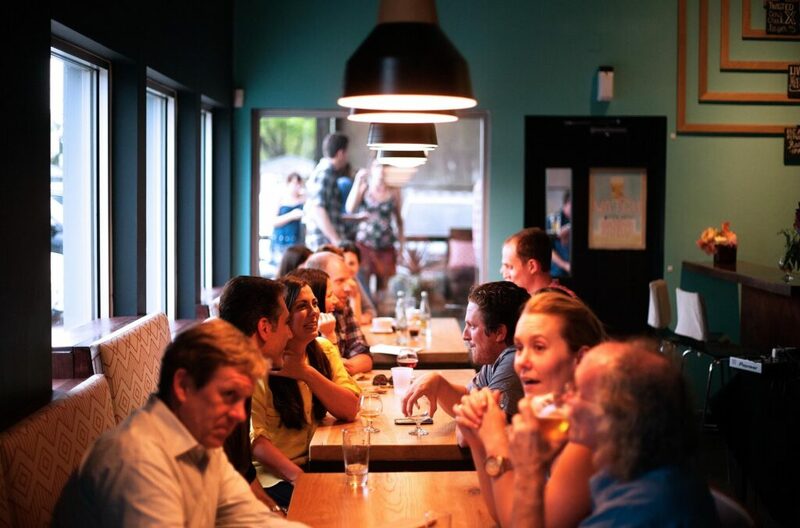 A firm with regular social gatherings or coffee catch-ups will find their team bonds more effectively. It’s a chance to learn things about colleagues you wouldn’t have otherwise known, interact with them in a different setting, and perhaps meet members of other departments. Encourage staff development: Commit to encouraging your employees to specialise, take further training or develop new skills. It will keep the job fresh, and open up avenues for new projects. Provide Purpose: Providing purpose through a clearly defined vision or set of core values creates a buy-in for employees. It will motivate their work by keeping them engaged to meet these targets. 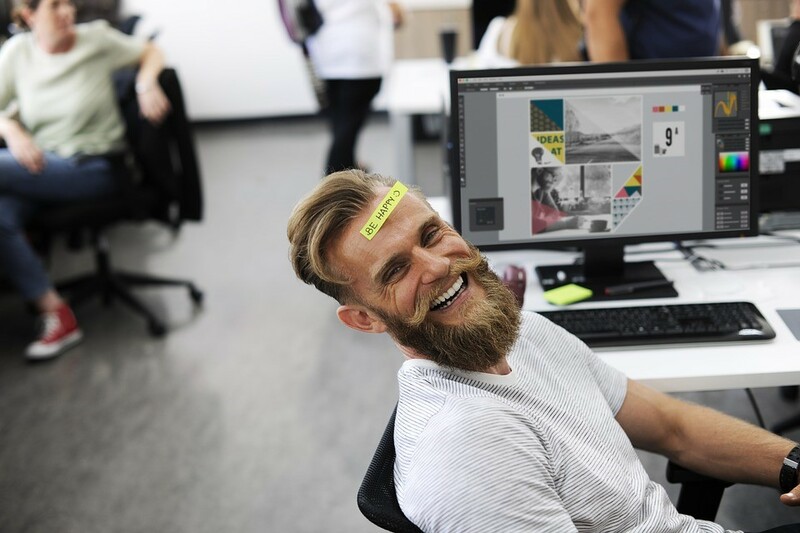 Show that you care: A major influence on how an employee feels about their workplace is their perception of management’s interest in staff wellbeing. It doesn’t take much to show you care. Simply stock the kitchen with coffee, tea and snacks, offer Friday night drinks or one to one check-ins over lunch. Have some fun: Friday night drinks and a regular company social event are chances for the entire firm to let loose, and draft up a little fun. Architecture and interior design are industries known for long hours, but we have seen a growing trend in demand for flexible working arrangements. Between deadlines, and a workload that could sink the Titanic it is so difficult to maintain a healthy work-life balance. The firm who can be a little loose on the tethers, is now the most attractive to top talent. With a malleable schedule, under certain parameters of course, your firm is capable of accommodating talented and experienced staff who might not have otherwise been able to work. Parents returning from maternity or parental leave, for example, will appreciate the early finish to take care of responsibilities at home. A flexible attitude will undoubtedly reinforce a certain level of trust between you and your staff. Your employees will react positively to the extra leg room they’ve been given to work-from-home or make up hours when they need to leave early. The take home message is that by offering flexible working conditions you will ease the burden of balancing commitments and help avoid employee burnout. At the end of the day, this will keep staff calm, happy, and producing high quality output for your firm. You’re an Architect! Start Shaping! If you’re concerned the culture at your architecture or interior design firm might be pushing talent out the door, then start designing the framework for the organisation you want to be. It’s never too late to change, and it’s ok if it doesn’t feel effective in the beginning. Change takes time. If you’re not talking then employees aren’t listening. 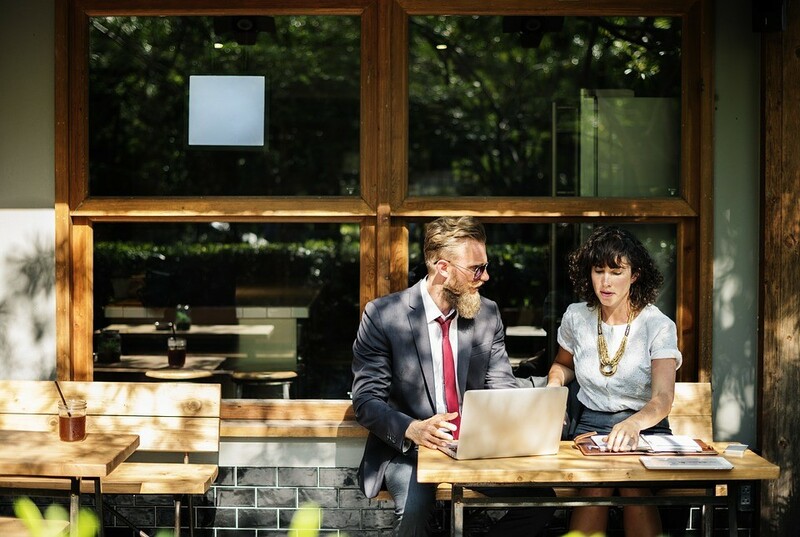 Open communication is essential to keeping any business going, as employees and management need to be on the same page about company priorities and direction. Yet communicating seems to be something that many employers know they should work on, but take for granted and fail to invest sufficient time in. It all begins with a transparent attitude to company progress. It’s about assurance that the company is performing well, particularly for smaller teams where the gap between junior and manager is much thinner. You need to be honest about a worker’s value to your company. Employees want to know how they’re performing in their role, their potential for progression and where their efforts fit within the firm’s overall growth scheme. Uncertainty is risky, and staff who aren’t sure that their work is contributing to a successful future will seek out a new job that’s more rewarding. Company updates: Let your staff know how the company is progressing, ideally in person, but this could be more practical for smaller firms. If a company-wide meeting is too impractical then send out an email or arrange departmental updates. Employee reviews: Regularly take the time to review your staff’s progress. Reinforce talented staff that they are performing well, or highlight improvement areas where there’s potential for growth. Don’t just do the standard ‘yearly review’. Structured growth plan: Following on from reviews, an effective way to communicate an employee’s performance is progression on a structured growth plan. Whether it be a salary increase or change in title, if they’re good, show it as well as say it. One on one check-ins: These are very different in tone and purpose to an employee review. Checking in with staff provide a space for them to communicate any concerns they might be having, providing an open forum to devise strategies. This will allow you to handle complications before they drive an employee out of the business. You should feel free to customise these strategies based on the requirements of your firm, and what is practical to you as an employer. If your staff consists of 200 people and you cannot dedicate the time to all of them, use a funnel approach. Prioritise the department heads, and get them to check-in in the same manner with their team. If you haven’t tried a new communication strategy to keep top talent in your firm, take some time, consider how often you’re actually interacting with your staff. Implement the strategies we’ve recommended or brain storm other ways and channels that you can use to ensure everyone is drafting the same picture. Talent retention is a tricky business and takes some trial and error. Identifying where you might have gone wrong is about noticing patterns in your turnover. If you have a high turnover, at what point are your staff leaving? How settled were they before flying the coop? This analysis will help you determine whether recruitment strategy, company culture, or communication should be your priority areas for revision. Bloomfield Tremayne & Partners are the experts in recruiting candidates for long-term, mutually beneficial job placements in architecture and interior design. Contact us to secure talented employees for your firm today.